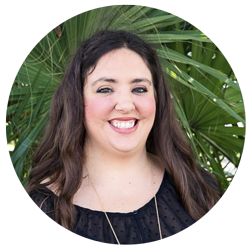 Daniela Tullio was born and raised in the beautiful Palm Beach Gardens, FL and received her Bachelors of Science Degree in Psychology from Florida State University, then went on to complete her Masters in Social Work Degree from Florida Atlantic University. Daniela is currently a Licensed Clinical Social Worker (LCSW) who has experience in providing an array of clinical services within all levels of care for substance dependency treatment and co-occurring disorders. Daniela has previously worked in private, court-ordered and state ran facilities for addiction treatment and she is experienced in working with individuals suffering from addiction, anxiety, depression, trauma and unresolved grief and loss issues. Daniela is a passionate and caring therapist who is dedicated to providing her clients with the highest quality of care and treatment. As a licensed Clinical Social Worker, Daniela primarily uses a client centered, strengths based approach, along with cognitive behavioral (CBT), schema focused and other evidence based therapies in helping her clients heal from their addiction. Daniela focuses on helping her clients address the root cause of their addiction, while also assisting them in learning how to love themselves and become their true authentic self, so they can free themselves from the grips of addiction. Daniela believes that the key to healing from addiction is connection—connection to oneself, a higher power and other people.